Synopsis (from Amazon): We expend massive amounts of energy in pursuit of perfection. If only we could never make mistakes or encounter unpleasant obstacles, oh, wouldn't life be just perfect? Maybe, but it would also be static, unfulfilling, and really, really boring. 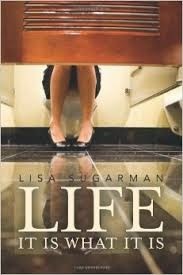 Humorist Lisa Sugarman knows that life is a work in progress. She knows what we all suspect—life is at its best when it's fluid, unpredictable, and gloriously imperfect. And if this means life sometimes turns ugly and unpleasant, it only makes the good times that much sweeter. Author of opinion column It Is What It Is, Lisa embraces reality, not perfection. We're supposed to be imperfect. We're meant to screw up, make bad decisions, and lose our way. We can't control everything that life throws at us, but we can control how we react to it. With the right attitude and a little guidance from Lisa, anyone can be happy and fulfilled most of the time. Her collection of funny, inspiring, and sometimes poignant columns reminds us that life is not a straight line, even on the best of days, and it's the twists in the road which make the journey so beautiful. One (or more) Sentence Summary: A collection of writings from Lisa's column of the years that had me laughing and relating to every column. It took me a while to figure out "Aunt Flo Exposed." After a few paragraph's in, I laughed until my sides hurt. Fast read/slow read: A very fast read. Life: It Is What It Is, is easy to pick up and put down. You can read one "column" at a time and work your way through the book. There were so many columns that I could relate too or insert a different name and the column would be my life. Would I Read Other Books by the Author: Yes, and I signed up for Lisa's blog! 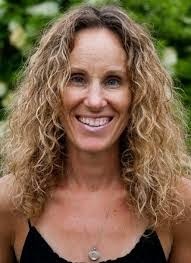 Lisa Sugarman works, lives, and writes in Marblehead, Massachusetts, a small town of twenty thousand people crammed onto a small peninsula. She knows just about everyone in town, giving her a unique perspective as an opinion columnist for the local newspaper. Lisa received her bachelor of arts with honors from Salem State University in 1991. She has authored the semi-regular opinion column It Is What It Is for The Marblehead Reporter and other GateHouse Media, Inc. since 2009. Married to Dave, her high-school sweetheart, Lisa has two daughters, Riley and Libby.